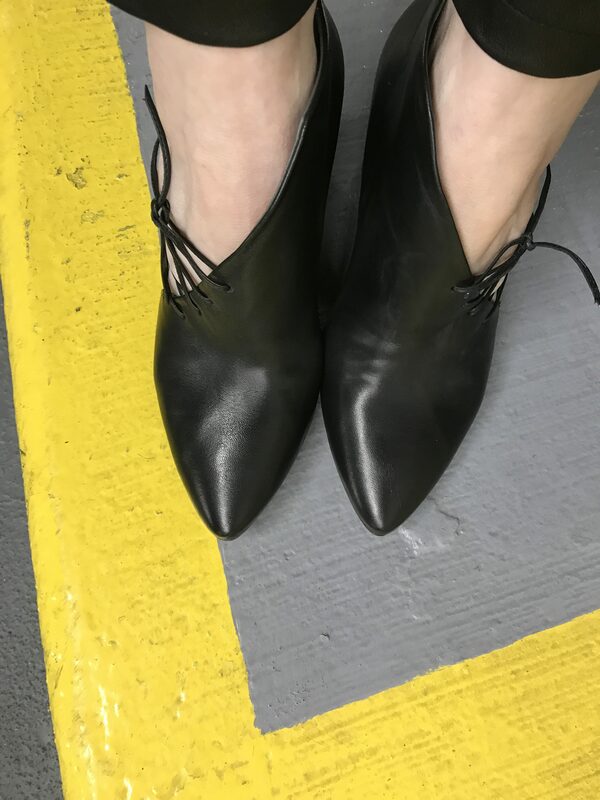 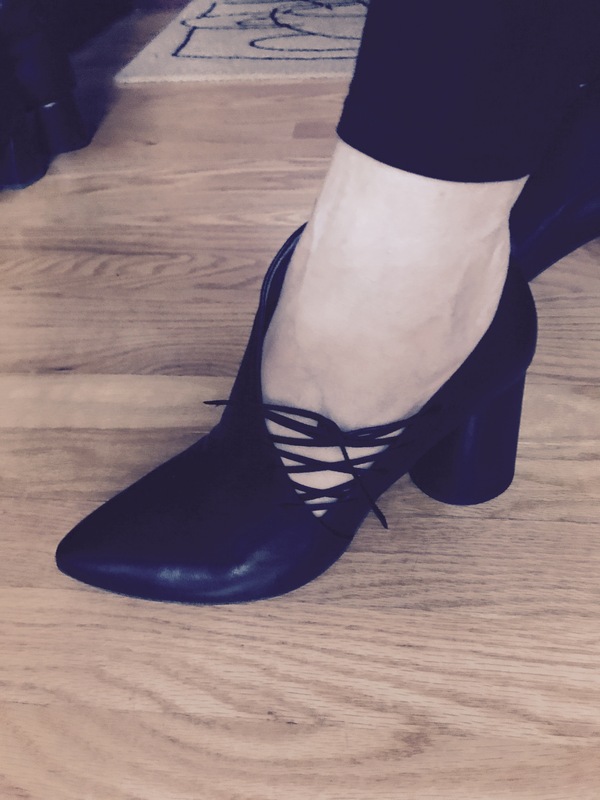 October | 2017 | Footwear Fashionista … a sneak peek into my shoe closet! 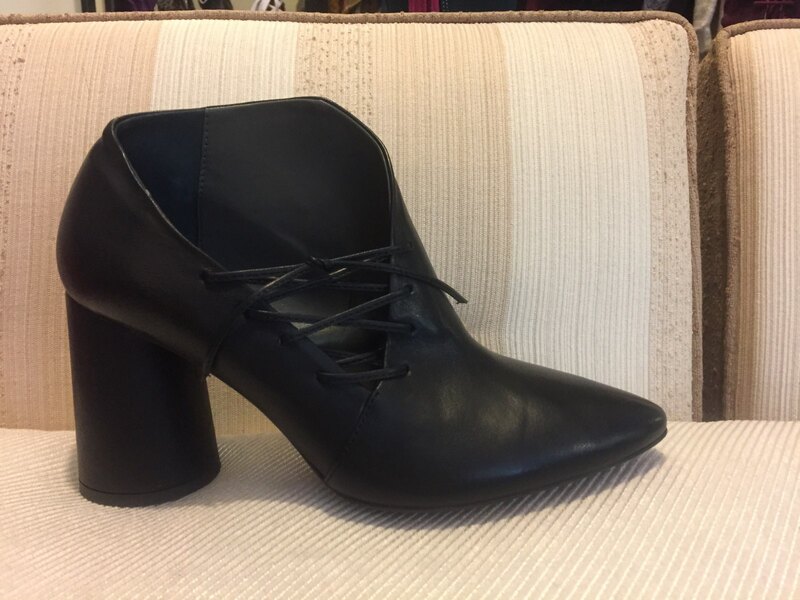 IXOS from Italy has such cutting-edge shoes. These beauties can be found at Sfizi in Chicago. I love the 2 3/4″ rounded, chunky heel; pointy toe and surprise side lace up detail. 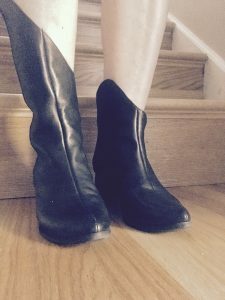 Shoes that shout “look at me”! 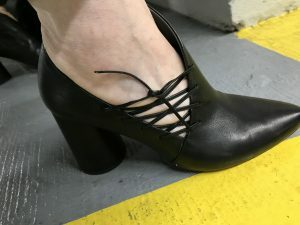 They come in whole sizes only, so you might need to size up if toes are too scrunched in pointy toe box. The sacrifices we make for style…are well worth it. 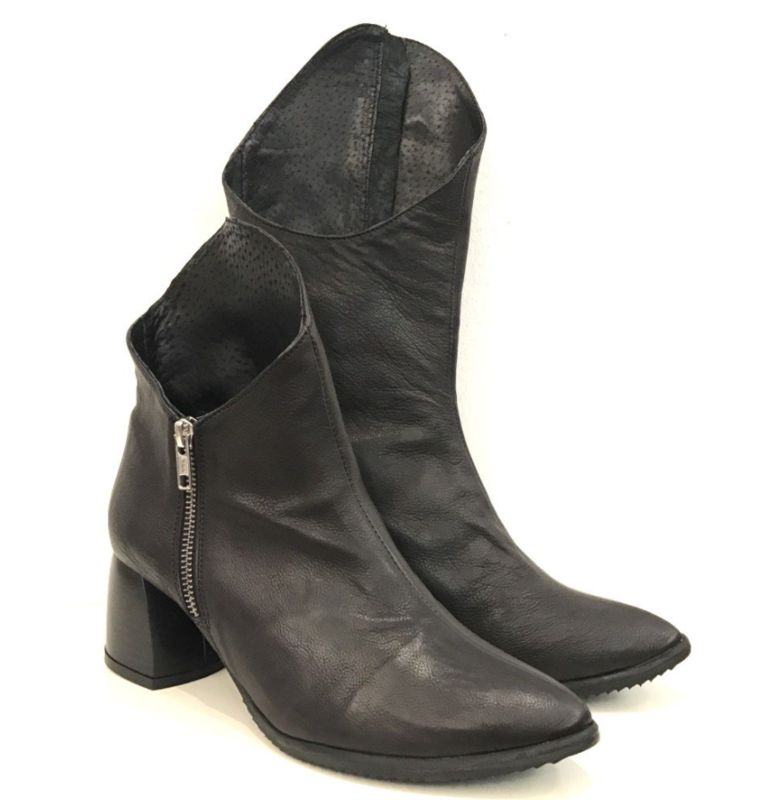 The Papucei “Meicy” from Romania is a modern and sleek asymmetrical boot. 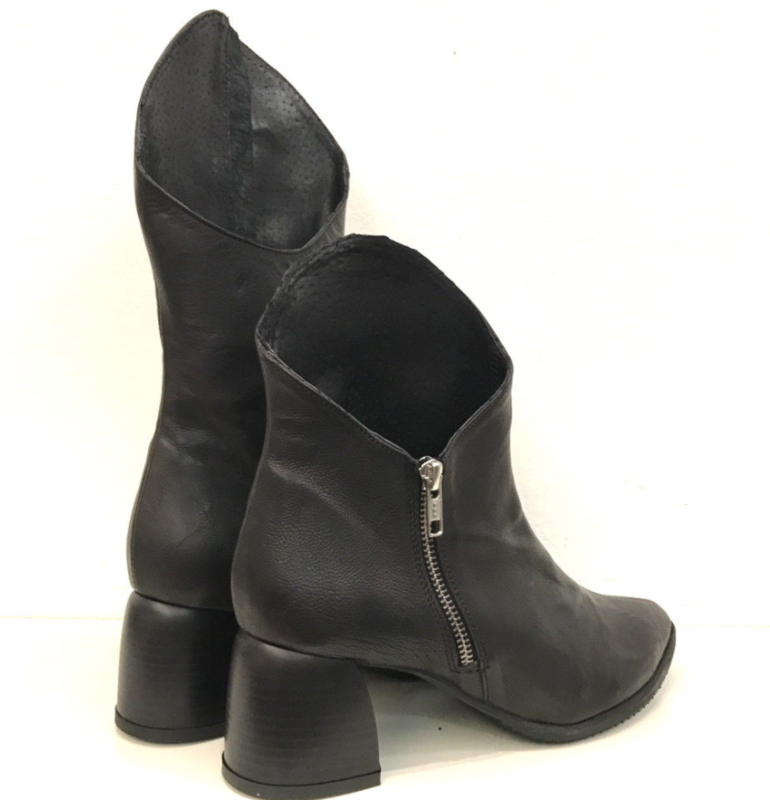 The left is a shorter ankle boot and the right is a mid-calf angled boot. What appears mismatched in the box, works to create an edge to any outfit.